remembered by all those who knew him. Hospital and CMC Mental Health Clinic, finally retiring at the age of 87.
pursuing primary care medicine, ensuring a legacy of caring for the Scranton community. 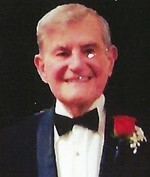 Metropolitan Opera and Broadway performances as well as local productions throughout his long life. Funeral services will be conducted Friday from the Guido-Fiorillo Funeral Home 120 South Main Ave. with Mass of Christian Burial at 10 am at St. Paul’s Church 1510 Penn Ave. Everyone is respectfully invited to proceed directly to church for the Mass on Friday. Interment will follow in Cathedral Cemetery. Friends and family will be received Thursday from 4-7 pm in the funeral home.